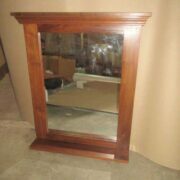 A vintage window-frame mirror with another mirror inside. 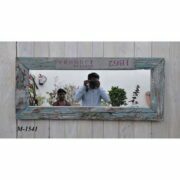 This vintage unusual and rustic window-frame-mirror actually has three mirrors. 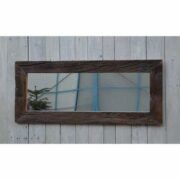 The reclaimed rustic frame has two mirrors in the original shutter doors, which also open onto a third larger mirror inside, meaning you get three times the reflections. The panels are also pretty decorative with lovely hand carved sunburst panels below the mirrors. All in all, a stunning and unusual mirror that needs a good home!